ADDY’S DREAM AS a patent attorney is to help bring a ground breaking energy technology to the world. Addy’s hopes soar when she is wooed by Quinn, an entrepreneur, to join his company that has purportedly invented a car that can run on water using an innovative catalyst. After resigning her partnership to join Quinn, Addy discovers things aren’t as they seem. The patent office suppresses the company’s patent applications and her life is threatened by unknown assailants if she doesn’t resign. When she is arrested for stealing US technology from the patent office she realizes Quinn has used her. Now, Addy must find a way to clear her name while salvaging her dream of propelling this technology to the world, all while powerful forces attempt to stop her. ADDY FELT LIKE jumping out of her car and doing a quick happy dance in the middle of stalled traffic. Her excitement at becoming the newest—and youngest—partner at the intellectual property law firm of Wyckoff & Schechter was nearly overwhelming.She grinned at the shadow on the hood of Hindy, her treasured retrofitted cherry red Shelby Mustang. The shadow was created by a barrel-sized, hydrogen-filled balloon that floated above the Mustang’s roof. Gawkers pointed and laughed as the Shelby eased down El Camino pulling the tethered balloon as if in a Macy’s Thanksgiving Day parade. The balloon—which on one side sported her law firm’s logo, and on the other Hindy in giant cursive script—was just an advertising gimmick to show her passion for alternative energies. It was only strapped to the roof on calm, sunny days when she was travelling at slow speeds using routes that avoided overpasses. The retrofitted Mustang was really powered by four electric motors using electricity produced by solar panels and a conventional fuel cell. come to admire the effectiveness of her marketing innovations. They even lifted their champagne glasses at the end of her mentor’s welcome speech acknowledging that her Shelby was responsible for bringing in increasing numbers of the “green” companies sprouting like weeds all over the Silicon Valley— inventive, entrepreneurial companies in need of legal advice and support for their patents. Traffic momentarily loosened and Addy eased Hindy forward, careful not to snap the lines tethering the egg-shaped balloon. Addy sang along with Zissy Spaeth, pop rock’s newest and most flashy star, as Zissy belted out her latest hit, Light in Your Eyes, over the radio. In the corner of her eye she noticed a blaze of neon orange. Her heart stopped. In the car next to her someone was pointing a bazooka-sized gizmo at her balloon. She blinked, trying to clear her vision. Even in the late afternoon sunlight, it was impossible to miss the explosion. The dirigible burst into a giant fireball, then slowly deflated and floated down toward the Shelby’s crimson hood. Addy stomped on her brakes, hoping the balloon’s momentum would shoot the flaming mass forward. The fireball, safely secured by its fluorescent yellow nylon tethers, crashed down onto the windshield, blocking Addy’s view. She screeched to a halt, slammed her shoulder into the door, flung it open, and darted out, catching the heel of her pump on the doorjamb, which sent her sprawling headlong onto the pavement. She heard tires squeal and at least a half dozen blaring horns. Stinging pain shot up from her elbow and knees. Thank goodness traffic had been just inching along. to yank the still-burning fabric off the windshield. Before she got close enough to grab it, the sweltering heat from the flames scorched her cheeks, and she shielded her eyes with her forearm. Just when she reached the hood, a breeze lifted the infernal blob and propelled it directly at her, the nylon cords now seared through. She braced herself for the fireball when she felt arms wrap around her chest and yank her back, barely in time to avoid the searing molten mass of goo about to descend on her head, threatening to fry her face and melt her hair. bellowed in her ear, still holding her tight. Together they watched what was left of the blimp float like a falling leaf onto the grassy shoulder, just like the Hindenburg did almost eighty years ago. Brush fires in California were no joking matter. Addy could smell the smoldering grasses. A strong breeze fanned the flames, pushing the fire toward a row of redwood trees. Then she heard a whiny voice coming from the milling crowd of stranded passengers who’d gathered to find out what was holding up their homeward commute. “I’ve seen that blimp before. I knew it was trouble,” the whiner complained. “Yeah, but at least she’s part of the solution,” said someone else. “Her car doesn’t use gasoline. Look at what you’re driving,” he said, sneering at the whiny woman’s crossover SUV. Addy’s knees buckled, her head spinning. She plopped down onto the pavement and hugged her bare legs. This couldn’t be happening. beloved Mustang, was just a marketing ploy, no worse than a billboard. 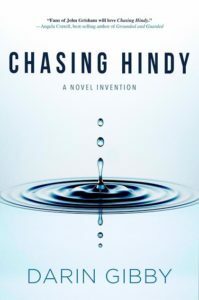 Hindy’s fuel cell and solar panels were just two modern technologies that Addy hoped someday would become mainstream to the automotive industry. And her purpose was noble. Her “green” car told the world of inventors that she was one of them, that she would secure their patents and protect their investments. Now her expensive marketing project was in jeopardy. Soon, swarms of firefighters were scrambling around dousing the flames, while police officers attempted to reroute traffic. A well-built bald man flipped out a paper pad and scribbled a few notes. After removing his sunglasses, he swapped the pad for a pocket camera and snapped random shots of the avid crowd. All four local networks had sent news crews, and Addy knew two of the reporters. They had already run stories about Hindy, praising Addy’s creative marketing, which one reporter said was a refreshing change from the barrage of personal injury commercials littering daytime television. As Addy told the reporter during her interview, Silicon Valley was going to be known, not just for starting the computer revolution and launching the social networking scene, but now for making the world green. And Addy was their lawyer. Reality burst her daydream bubble when she was whisked aside by a team of Sunnyvale police officers. She told them what had transpired, hoping it would help them find the sniper. And she pointed out her rescuer, who was showing another pair of police officers the photo on his phone. snatching the paperwork and turning toward Hindy. “There’s always Uber,” said the officer with a shrug. In addition to a thriving career as a novelist, author Darin Gibby is also one of the country’s premiere patent attorneys and a partner at the prestigious firm of Kilpatrick Townsend (www.kilpatricktownsend.com). With over twenty years of experience in obtaining patents on hundreds of inventions from the latest drug delivery systems to life-saving cardiac equipment, he has built IP portfolios for numerous Fortune 500 companies. In addition to securing patents, Gibby helps clients enforce and license their patents around the world, and he has monetized patents on a range of products. Darin’s first book, Why Has America Stopped Inventing?, explored the critical issue of America’s broken patent system. His second book, The Vintage Club, tells the story of a group of the world’s wealthiest men who are chasing a legend about a wine that can make you live forever. His third book, Gil, is about a high school coach who discovers that he can pitch with deadly speed and is given an offer to play with the Rockies during a player’s strike. Gil soon discovers, however, that his unexpected gift is the result of a rare disease, and continuing to pitch may hasten his own death. 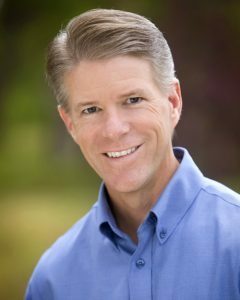 With a Bachelor of Science degree in mechanical engineering and a Master of Business Administration degree, he is highly regarded in Denver’s legal and business community as a patent strategist, business manager, and community leader. He is also a sought-after speaker on IP issues at businesses, colleges and technology forums, where he demonstrates the value of patents using simple lessons from working on products such as Crocs shoes, Izzo golf straps and Trek bicycles. An avid traveler and accomplished triathlete, Darin also enjoys back country fly-fishing trips and skiing in the Rocky Mountains. 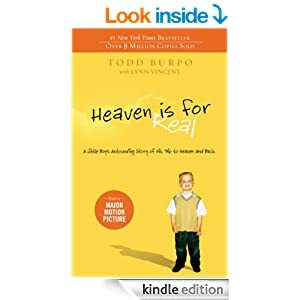 He lives in Denver with his wife, Robin, and their four children. His latest book is the thriller, Chasing Hindy.